Vanity cabinets, medicine cabinets and console tables can be the visual link between the bathroom fixtures, tying together design elements from the bathtub or shower and the sink. From free standing vanities to wall-mounted medicine cabinets, each piece should not only complement the fixtures but work within the room as a whole. 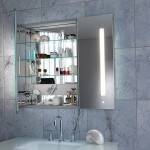 The size of the bathroom is a major consideration when selecting bathroom cabinets. Smaller bathrooms may look and function best with a simple, free-standing vanity, while a large master bathroom can support more substantial cabinetry for storage. 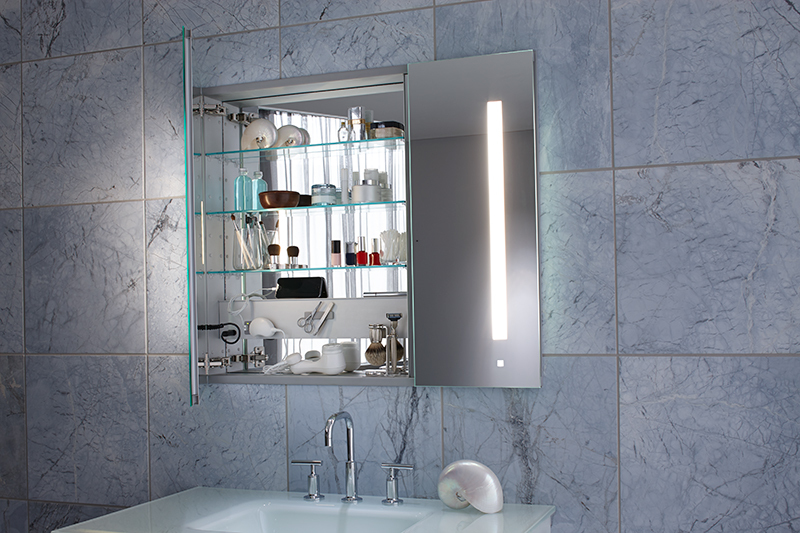 Whatever your goals are with your bathroom remodel, WalterWorks Hardware has the best selection of premier bathroom cabinets in the Maryland, northern Virginia, and Washington, D.C, area, including, Annapolis, Columbia, Easton, and Baltimore. Our extensive Annapolis showroom is an invaluable resource to builders, remodelers, contractors, architects, designers and homeowners as they complete their bathroom designs, making it easier to compare and contrast styles, and see how the cabinets you choose will look with different styles of cabinet hardware. 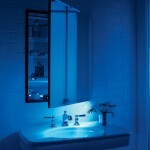 Electric Mirror medicine cabinets are designed, fabricated and assembled in the U.S. for sophisticated engineering and high-quality craftsmanship. 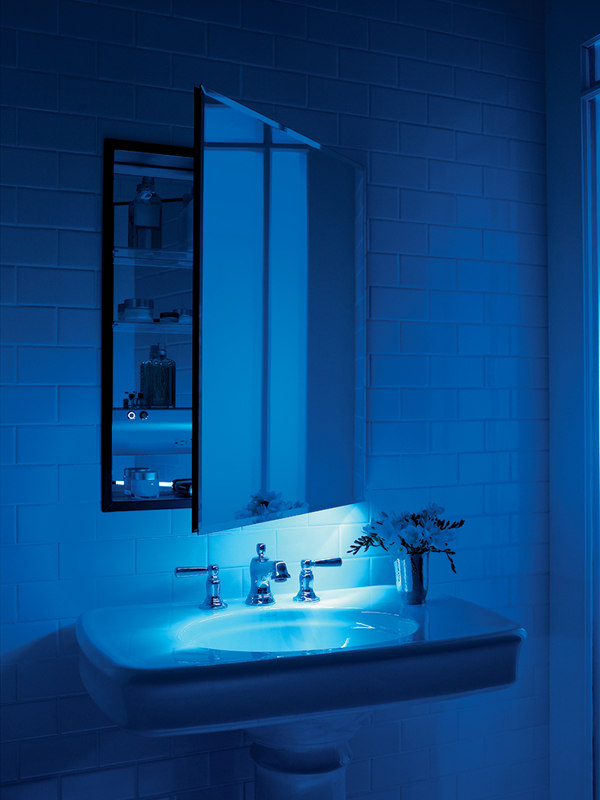 Robern medicine cabinets are offered in a wide variety of styles, such as the modular M, with adjustable shelves and the PL series, which offers mirrored doors, and optional electric outlets. Timeless style and modern function are paired in Madelli bathroom vanities, along with superior quality and premium value. Combining creative design with ingenious manufacturing techniques, Vanico-Maronyx bath vanities are made in Canada for superior quality. 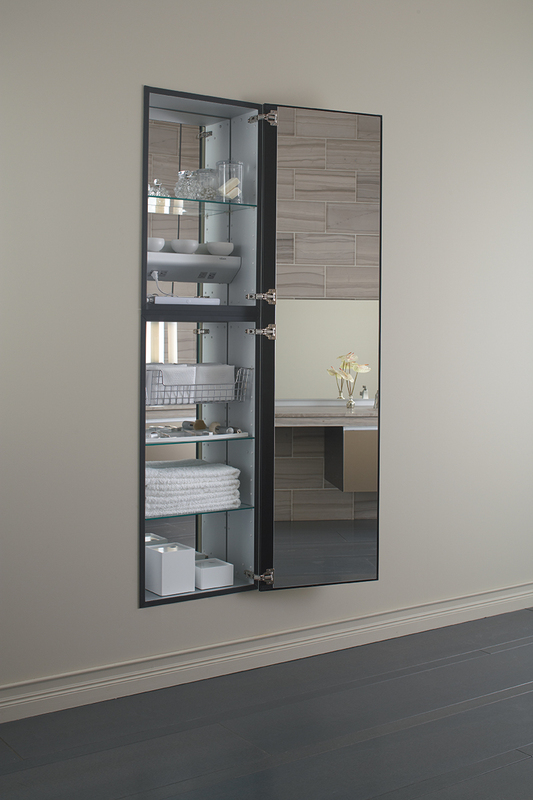 The Furniture Guild is a group of American artisans that craft fine bathroom vanities in the contemporary Nuvo style, economical Signature style and the company’s flagship style, Vanity Flair. WalterWorks Hardware carries a premier collection of bathroom cabinets and vanities for homeowners, architects, designers, remodelers, and contractors in Maryland, Washington, D.C., and northern Virginia, including Baltimore County, Howard County, Anne Arundel County, Talbot County, Queen Anne’s County, Prince George’s County, Kent County, Fairfax County, Calvert County, Montgomery County, and Arlington County from our Annapolis showroom. For more information about our selection of bathroom cabinets and vanities, please call 410-263-9711 or contact us to speak with a WalterWorks Hardware expert.